I began my university teaching career in 1997 at the School of Oriental and African Studies (SOAS, University of London), before becoming a Research Fellow in Visual Culture and Media at Middlesex University (2000-2002). There I helped to set up the national curriculum change project, 'Globalising Art, Architecture and Design History' (GLAADH). The project had a lasting impact on more than a fifth of the UK's Higher Education sector, by embedding more global and diverse topics and materials into the teaching of undergraduate degrees in art history. I held the post of Lecturer in Art History at the University of Sussex (2002-2004), and undertook long-term fieldwork in 2004-2005 focused on art and social agency in Trinidad, Guyana and other locations in the Caribbean (with support from a Leverhulme Early Career Fellowship and Sussex). I have benefitted from visiting fellowships at the University of California in Berkeley, and at Yale. Before moving to the OU in June 2011, I was Reader in History of Art at Manchester Metropolitan University. From 2014 to 2015, I held the inaugural position of Kindler Chair in Global Contemporary Art at Colgate University in New York. My research brings together the politics of art historiography with the philosophy of aesthetics, and new approaches to materiality and geographical space in the social sciences. In particular, I have worked to redefine the intellectual scope of art history as a discipline, with reference to the Caribbean, South Asia and diaspora communities in Europe and North America. I have also shown how scholarship may interact more creatively with art practice, museum and exhibition curating, arts organising, cultural policy, and the public understanding of art. Together these titles span a range of disciplines and topics, with several lines of inquiry into art in an expanded and interconnected global field. At present I am preparing my third authored book: Materiality and Mobility: Political Geographies of Contemporary Caribbean Art, a study of contemporary Spanish, English and Dutch-speaking Caribbean art communities. I am also co-editing the Routledge Companion to Global Art Histories (with Diana Newall and Grant Pooke), and a new volume in the Wiley Blackwell book series Art in Theory: An Anthology of Changing Ideas (with Charles Harrison and Paul Wood) -- the latest volume in the well-known Art in Theory titles. ‘Creativity and Innovation in a World of Movement’. Led by Queen's University in Belfast, this consortium of four projects each had a Principal Investigator, of which I was one. Through my project’s overseas fieldwork and range of publications, I focused attention on the patterns and relationships between art and world-wide experiences of human migration and global flows of capital. Among the outcomes of this grant was a deeper art historical understanding of the contemporary Caribbean and dissemination of knowledge to other disciplines – namely social anthropology, religious studies and museum ethnography -- and the knowledge transfer website ‘CIM:Resource’ which is designed to be a research-informed application for teaching and learning. This interdisciplinary collaboration between universities in the UK, Norway and the Netherlands was funded by the European Science Foundation (as part of a €1,000,000, HERA JRP consortium in the largest EU-wide funding scheme in the humanities). 'Disturbing Pasts: Memories, Controversies and Creativity’ connected three of the international consortia funded by HERA (CIM, PhotoCLEC and MAW), and I served as its Principal Investigator. This received significant Knowledge Transfer and Network Funding from the Humanities in the European Research Area, Joint Research Programme (HERA JRP, European Science Foundation). It included an international conference (November 2012, Museum for Ethnology, Vienna), that brought together artists, photographers, curators, policy-makers and academics from diverse disciplinary backgrounds. Our conference was covered extensively in the Open University’s Open Arts Archive and resulted in a themed issue of the Open Arts Journal, co-edited with Uilleam Blacker and Elizabeth Edwards, which was subsequently developed into a major book anthology. 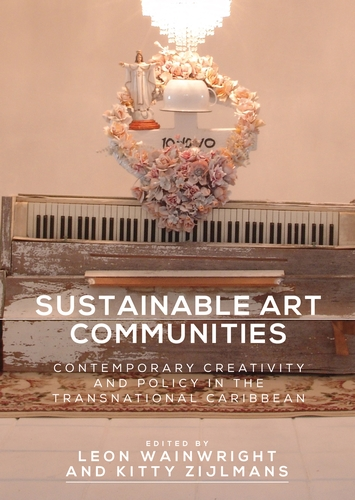 'Sustainable Art Communities: Creativity and Policy in the Transnational Caribbean’, Principal Investigator, with Co-Investigator, Professor Dr. Kitty Zijlmans (University of Leiden), the Tropenmuseum, Amsterdam, and the Institute for International Visual Arts (inIVA), London. This received significant funding from a joint bid to the Arts and Humanities Research Council (AHRC) and the Netherlands Organisation for Scientific Research (NWO). The project explored how the understanding and formation of sustainable communities for the English and Dutch-speaking Caribbean and their diasporas may be supported by art practice, curating and museums. It ran for two years from September 2012 and included conferences in Amsterdam and London, each filmed for the Open Arts Archive. 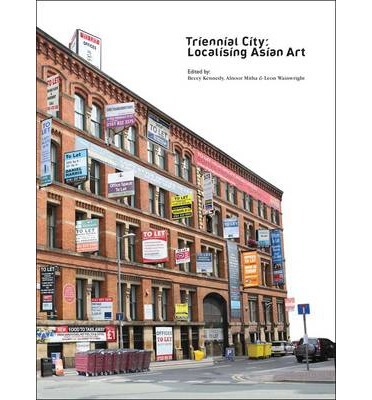 It has fostered networks of exchange and collaboration, and resulted in the publication of a themed issue of the Open Arts Journal, co-edited with Kitty Zijlmans, subsequently developed into a major book anthology. I warmly welcome informal enquiries about studying for a PhD in any area that would illuminate new directions for the arts and humanities. ‘Arrested transmission: Art that stays at a global periphery’; ‘Transmisión detenida: Arte que permanece en una periferia global’; ‘Transmission interrompue : à la périphérie de l’art global’ 2014, www.aica-sc.net (Association Internationale Critiques d’Art, AICA and Fondation Clément, Martinique). ‘Globalization’, in Michael Kelly ed. 2014 The Encyclopedia of Aesthetics, 2nd edition, Oxford University Press. ‘Arrested Transmission: From Periphery to Center’, Art Papers vol. 36, no. 6, 2012, 44-49. ISSN: 15249581. ‘Art and the Politics of Time’, ARC: Art, Recognition, Culture, no. 5, 2012, pp. 20-22. ‘Without Boundaries? Mediating Art’s Global Networks’, ARC: Art, Recognition, Culture, no. 4, Nov. 2011, pp. 14-19. ‘De Black Atlantic, Suriname en Nederland: Uitdagingen voor tentoonstellingen over, en het historiseren van kunst uit de Caraïben’ (‘The Black Atlantic, Suriname and the Netherlands: Challenges for Curating and Historicising Art of the Caribbean’), in Mariette Dölle and Malka Jonas eds. 2010 Conversations on Paramaribo Perspectives, TENT., Rotterdam, pp. 36-50, 52-57. ‘Diversity and Choice’ 2010 Culture Machine Open Humanities Press. ‘Apples and Grapes from Foreign’ in Andy Jacob ed. 2006 A Suitable Distance: Rex Dixon, Peter Doig, Kofi Kayiga, Chris Ofili and Roberta Stoddard Trinidad: Soft Box Studios. Exhibition catalogue essay. ‘Jamaica National Biennial: Contradictions in Coherence’, Art Fairs International, vol. 1, nos. 5/6, 2005, pp 45-47. ‘Race-ing Art History: Critical Readings in Race and Art History’ by Kymberly N. Pinder, Journal of Visual Culture in Britain, Vol. 5, no. 2, 2004, pp 114-118. ISSN: 1471-4787 (Reprinted in Nukta: An Art Discourse, vol. 3, March 2006). ‘Personhood and Presence’, in Johannes Phokela, Simon Mee Fine Art and Gallery Momo, London and Johannesburg, 2003. Exhibition catalogue essay. ‘A Phenomenology of Origins: Sonia Khurana’ in Sonia Khurana: Lone Women Don't Lie New Delhi: Max Mueller Bhavan and The British Council; Calcutta: Oxford Book Store, 2000. Exhibition catalogue essay. ‘Materiality and Mobility: Troubling Global Geographies of Caribbean Art’, British Academy/Leverhulme Network funded project, Troubling Globalisation: New Approaches in Arts and Humanities, Nottingham Trent University, September 20th, 2017. ‘Sustainable Art Communities: Contemporary Creativity and Policy in the Transnational Caribbean’, international conference, Caribbean In/Securities and Creativity: Diasporic Dialogues, Eccles Centre for American Studies, The British Library, June 25th-26th, 2017. ‘In Conversation with Griselda Pollock and Sonia Khurana’, Research Forum seminar on Contemporary South Asian Art, The Courtauld Institute of Art, London, June 22nd, 2017. ‘Bodily Relations and Reciprocity in the Art of Sonia Khurana’, research seminar on Performance Art and the Body Between South Asia and Britain, Paul Mellon Centre for Studies in British Art, London, June 22nd, 2017. ‘Body, Relationality and Reciprocity in the Art of Sonia Khurana’, panel on Bodies of Art: Transgressing Race, Gender and Sexuality, 43rd Annual Conference of the Association of Art Historians, Loughborough University, April 6th-8th, 2017. ‘Materiality and Mobility: Political Geographies of Caribbean Art’, research seminar, Centre for the Study of Contemporary Art, Department of History of Art, University College London, January 24th, 2017. Invited speaker. ‘Writing a Geography of Art for the Transnational Caribbean’, Jamaican Pulse: Art and Politics from Jamaica and the Diaspora, The Royal West of England Academy and the University of Bristol, June 27th, 2016. Invited speaker. ‘Political Geographies of Art in the Global South: Caribbean Materiality and Mobility’, Conceptual (Re-)Locations of the Global South, international symposium, University of Cologne, June 20th-21st, 2016. Invited speaker. Organised by Sinah Kloβ. Invited speaker. 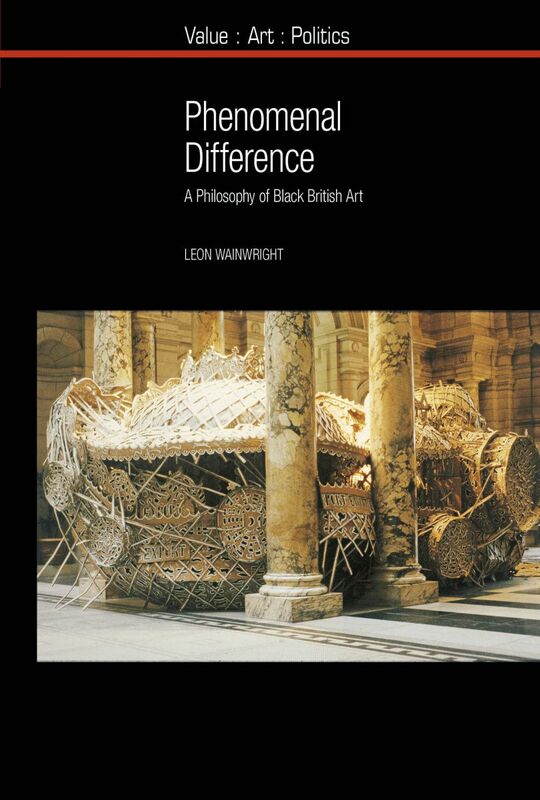 ‘Phenomenal Difference: Toward a Philosophy of Black British Art’, panel ‘Diaspora Aesthetics: Towards a Definition’, 42nd Annual Conference of the Association of Art Historians, University of Edinburgh, April 7th-9th, 2016. ‘Picturing Blackness and Phenomenal Difference’, Revisiting Picturing Blackness, British Art Specialist Network day, Tate Britain and University of the Arts London, April 4th, 2016. Invited speaker. ‘Phenomenal Difference: Toward a Philosophy of Black British Art’, Framing the Critical Decade: After the Black Arts Movement, international symposium, University of Bristol, March 21st-22nd, 2016. Panel chair, ‘Art and World Making’ and presenter of ‘Transatlantic material mediations: A political geography of art and “exchange”’, American Anthropological Association, international conference. Denver, Colorado, November 18th-22nd, 2015. ‘Crossing Disciplines: From Historiography to a Political Geography of Caribbean Art’, panellist, Reshaping (G)local Caribbean Dynamics. Relaciones y Deconexiónes – Relations et Déconnexions – Relations and Disjunctures, international symposium. Leibniz University Hannover, October 14th-17th, 2015. Invited speaker. Roundtable on ‘Crossing Boundaries: Gender, Practice, Policy’, Caribbean Studies Association, 40th annual conference, New Orleans, Louisiana, May 25th-29th, 2015. Invited speaker. 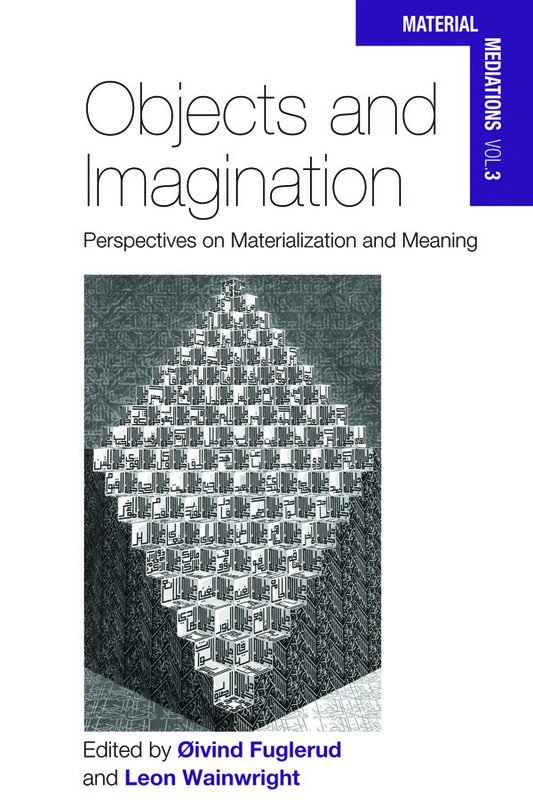 ‘Transatlantic material mediations: A political geography of art and “exchange”’, Objects and Imagination: Material Mediations, international seminar, Cultural History Museum, University of Oslo, May 7th, 2015. Invited speaker. ‘Sustainable Art Communities: Creativity and Policy in the Transnational Caribbean’, Humanities Colloquium, Colgate University, February 10th, 2015. Invited speaker. Panel chair, Contemporary Caribbean Visual Culture: Artistic Visions of Global Citizenship, Department of Modern Languages, University of Birmingham, June 12th-13th, 2014. ‘The Open Arts Journal: A digital, open access publication’, Hestia2 Digital Pedagogy: Transforming the interface between research and learning, King’s College London, June 6th, 2014. Invited speaker. ‘Aubrey Williams: Painting and Time’, symposium, Centre for Research in the Arts, Social Sciences and Humanities, CRASSH, University of Cambridge, April 26th, 2014. Invited speaker. ‘Timed Out (Wainwright, MUP 2011): Extended book discussion with Natasha Eaton’, international symposium, University of York, March 26th, 2014. Invited speaker. ‘Arrested Development: Global Programming and its Discontents’, panel co-chair and presenter, Collecting Geographies: Global Programming and Museums of Modern Art, international symposium, Stedelijk Museum, March 13th, 2014. ‘Sustainable Art Communities: Creativity and Policy in the Transnational Caribbean’, International Development Seminar Series, The Open University, February 5th, 2014. Research project leader and chair of the conference, Sustainable Art Communities: Creativity and Policy in the Transnational Caribbean, the Institute for International Visual Art (Iniva), London, December 3rd-4th, 2013. 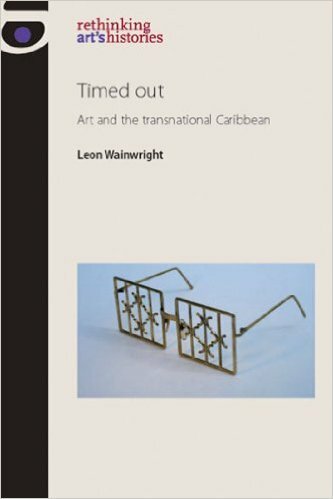 ‘Timed Out: Art and the Transnational Caribbean’, seminar series, Department of Art History, Theory and Criticism, the School of the Art Institute of Chicago, November 21st, 2013. Invited speaker. Panel chair, ‘Art and Politics: The New Scramble for Africa’, AfroEuropeans IV: Black Cultures and Identities in Europe international conference, Institute of English Studies, University of London and The Open University, October 2nd, 2013. ‘Positions: Americocentrism and Art of the Caribbean’, Positioning: Research Topography, symposium, University of Reading, June 20th, 2013. Invited speaker. ‘Disturbing Pasts’, Futures, international workshop on AHRC-sponsored theme ‘Care for the Future’, Wolfson College and the Institute of Social and Cultural Anthropology, University of Oxford, June 18th, 2013. Invited speaker. Research project leader and international symposium co-chair, Caribbean Urban Aesthetics, OU Milton Keynes, May 21st-22nd, 2013. Research project leader and chair of the conference, Sustainable Art Communities: Creativity and Policy in the Transnational Caribbean, Tropenmuseum, Amsterdam, February 5th-6th, 2013. ‘Caribbean Creativity and Innovation in a World of Movement’, CADRE (Centre for Art, Design, Research and Experimentation) Public Lecture Series, University of Wolverhampton, January 29th, 2013. Invited speaker. Research project leader and chair of the conference Disturbing Pasts: Memories, Controversies and Creativity, Museum of Ethnology, Vienna, November 20th-22nd, 2012. ‘Americocentrism and Art of the Caribbean’, inaugural lecture, Visual and Performance Research Seminar, Durham University, November 8th, 2012. ‘Atlantic Positions in Art of the Indo-Caribbean: Casting Shadows and Throwing Light in Suriname and the Netherlands’, Society for Caribbean Studies, annual international conference, University of Oxford, July 4th – 6th, 2012. ‘Creativity, Capital and Collaboration: Art and Innovation in the Caribbean’, Creativity in Transition: Politics and Aesthetics of Circulating Images, international conference, University of Utrecht. May 31st – 1st June, 2012. ‘Atlantic Positions in Art of the Indo-Caribbean: Casting Shadows and Throwing Light in Suriname and the Netherlands’, Arts and Aesthetics in a Globalising World, Association for Social Anthropology, annual international conference, JNU, New Delhi, April 3rd – 6th, 2012. ‘Mapping the Field’, Visual Cultures of the Caribbean, international symposium, Durham University. March 17th, 2012. Invited speaker. ‘On Being Timed Out: Art History after the “Global” Turn’, Institute for Social and Cultural Anthropology and the Pitt Rivers Museum, Seminar in Material and Visual Anthropology, University of Oxford. February 10th, 2012. ‘On Being Timed Out: Art History after the “Global” Turn’, Department of Art History, Concordia University, Montreal, open lecture. November 15th, 2011. Invited speaker. ‘Framing Artistic “Success”: Art and Innovation in Contemporary Barbados’, and panel chair, The Arts: Catalyst for Caribbean Development, Edna Manley College of the Visual and Performing Arts, Jamaica, international conference. October 13th-14th, 2011. ‘Contemporary Art: World Currents’, roundtable with Terry Smith and Tessa Jackson, Sotheby’s Institute, London. September 21st, 2011. Invited speaker. ‘Atlantic Positions in Art of the Indo-Caribbean: Casting Shadows and Throwing Light in Suriname and the Netherlands’, Materiality, Movement, Museum, annual international workshop, Museum of Cultural History, University of Oslo. September 19th – 20th, 2011. ‘Art, Innovation and Movement in Contemporary Barbados’, Society for Caribbean Studies, 34th annual international conference. International Slavery Museum, Liverpool. June 29th- July 1st, 2011. ‘Precarious Cosmopolitanism: Art, Creativity and Movement in the Caribbean’, Cosmopolitanism as Critical and Creative Practice, MMU Institute for Humanities and Social Sciences (IHSSR) and the Anthony Burgess Centre, international conference, May 11th–12th. Invited speaker. ‘Aubrey Williams and the Temporality of Painting’, Painting the Caribbean, international symposium, University of Essex. May 6th- 7th, 2011. ‘On Being Timed Out: Art History after the “Global” Turn’, Department of Arts Research Seminar Series, University of Northumbria, Guest speaker, March 15th, 2011. ‘Beyond Cultural Diversity’, The Creative Case for Diversity and Equality in the Arts, Arts Council England annual seminar, NESTA, London, November 26th, 2010. Invited speaker. ‘Cultural Policy: Diversity and Equality: A Letter from the Academy’, Cultural Policy and Management, City University, London, October 27th, 2010. Invited speaker. ‘A Black Atlantic Art History?’, Paramaribo Perspectives, TENT., De Unie and Centrum Beeldende Kunst Rotterdam, October 12th 2010. Invited speaker. ‘Varieties of Belatedness and Provincialism: Decolonisation and British Pop’, New Approaches to British Art, 1939-1969, paper presentation and panel chair, international conference, The Courtauld Institute Research Forum and the University of York, June 4th-5th, 2010. ‘Diversity in Practice’, From the Margins to the Core? international conference, Victoria and Albert Museum, March 24th–26th, 2010. Keynote address. ‘Cultural Policy and Diversity’, Cultural Policy and Management, City University, London, March 26th, 2010. Invited speaker. ‘Debating Afro Modern’, Afro Modern: Journeys Through the Black Atlantic, study day, Tate Liverpool, March 13th, 2010. Invited speaker. ‘Casting Shadows’, panellist with Annie Paul, Courtney J. Martin and Julieta González, Paramaribo SPAN, international symposium, Suriname. February 27th, 2010. ‘The Time-Space Logic of Art History’, Global Exhibitions: Contemporary Art and the African Diaspora, international symposium, Tate Liverpool, February 19th 2010. Invited speaker. ‘Ofili in Focus’, panellist with Bonnie Greer and Gayle Chong Kwan, Late at Tate, Tate Britain, February 5th 2010. Invited speaker. ‘In the Aftermath of Painting: Caribbean Transnationalism and Aubrey Williams’, Caribbean Research Seminar in the North, Society for Caribbean Studies (UK) and the School of Politics and Communication Studies, University of Liverpool, January 22nd 2010. Invited speaker. ‘Contemporaneity in Art of the African Diaspora’, School of Oriental and African Studies (SOAS, University of London), African Studies, December 18th, 2009. Invited speaker. ‘An American Locus: Art and Time’, Endeavors: Perspectives on Black Life and Culture, African American Studies, Yale, New Haven, November 12th, 2009. Invited speaker. ‘Positions’, Migrants and Diversity: Understanding Trends and Traditions, workshop, Institute of Commonwealth Studies, London, Sept 23rd, 2009. Roundtable speaker. ‘Cultural Diversity Position Paper’, After Multiculturalism: Challenging the Institutional Politics of Cultural Diversity in the Arts, Third Text and Tate Cross-Cultural Programme, Tate Britain, April 20th, 2009. Plenary speaker. Panel co-chair, with Adele Tan (Courtauld Institute, London), ‘Art History and its Global Provinces’, Annual Conference of the Association of Art Historians (UK), Manchester Metropolitan University, April 2nd – 4th, 2009. Member of the conference organising committee. ‘Evaluating Counter-Hegemonic Strategies in Curating the African Diaspora’, Cultural Policy and Management, City University, London, March 27th 2009. Invited speaker. ‘Beyond Transatlantic Slavery’, Exhibiting Slavery: Problematics and Possibilities, Horniman Museum, London, March 2nd–3rd, 2009. Invited moderator. ‘Art and Generation in the Transatlantic Caribbean’, Black Diaspora Visual Art: A Series of Symposia, Film Presentations and Exhibitions, (supported by the Arts Council England), Frank Collymore Hall and the National Art Gallery, Barbados, February 13th–15th, 2009. Invited speaker. ‘Imaging, Performance and Ownership in the Indo-Caribbean’, Postcolonialism and Popular Culture, University of Otago, New Zealand, December 14th-16th, 2008. ‘Imaging, Performance and Ownership in the Indo-Caribbean’, Annual Conference of the Association of Social Anthropologists of Great Britain and the Commonwealth, University of Auckland, New Zealand, December 8th -12th, 2008. ‘Behind the Scenes: Outsiders of the Swinging Sixties’, Late at Tate, Tate Britain, November 7th, 2008. Invited speaker. ‘New Provincialisms: Art, Curating, and Blackness’, Afterlives of Postcolonialism, international conference, Centre for Postcolonial Studies, Goldsmiths, University of London, October 25th-26th, 2008. Invited speaker. ‘Curatorial Provincialism and the Caribbean: Some Advantages of Temporal Alterity’, The Latin American and Caribbean City, annual international conference of the Research Institute of Latin American Studies, University of Liverpool, October 17th-18th, 2008. Invited speaker. ‘Varieties of Belatedness in the Story of British Pop’, What is British Art? conference, Tate Britain, October 10th, 2008. Invited speaker. ‘Without Locus? Art and Transnationalism in the African Diaspora’, Crossroads: Cultural Studies Association International Conference, University of the West Indies, Mona, Jamaica, July 3rd-7th, 2008. ‘The (Sometime) Value of Anachronism: Art and Time in the Transnational Caribbean’, Open Lecture, The Academy of the University of Trinidad and Tobago, July 1st, 2008. Invited speaker. ‘Understanding Migration and Diasporas in the Commonwealth’, Commonwealth Policy Studies Unit, London, Annual Youth Conference, June 24th, 2008. Invited speaker. ‘Frank Bowling and the Appetite for British Pop’, Department of Art History Research Seminar, University of York, May 26th, 2008. Invited speaker. ‘Difference at Material Limits: Trinidad’s “Indian Art” and World Art Inclusionism’, World-Making and World Art, Arts Research Center, University of California Berkeley, May 9th-10th, 2008. Invited speaker. ‘Aubrey Williams and Entwined Art Histories at the End of Empire’, Mini-series on Art and the Transnational Caribbean, Arts Research Center, University of California Berkeley, May 8th, 2008. Invited speaker. ‘Migrating between Guyana and British Pop: Frank Bowling RA’, Mini-series on Art and the Transnational Caribbean, Arts Research Center, University of California Berkeley, May 6th, 2008. Invited speaker. ‘New Provincialisms: Art, Curating, and Blackness’, Mini-series on Art and the Transnational Caribbean, Arts Research Center, University of California Berkeley, May 1st, 2008. Invited speaker. Symposium Chair, ‘Protest: Reflections and Revolutions’, Asia Triennial Manchester (ATM), The Whitworth Gallery, Manchester, April 5th, 2008. Invited speaker. ‘The Art of Black Britain at New Peripheries’, On Whose Terms? Critical Negotiations in Black British Literature and the Arts, Goldsmiths College, University of London, March 13th-14th, 2008. ‘Peter Doig, Place and Art History’, Widening Horizons: From the Camden Town Group to Peter Doig, Education Open Evening, Tate Britain, February 29th, 2008. Invited speaker. ‘Art and the Transnational Caribbean’, University of the Arts Research Centre for Transnational Art, Identity and Nation (TrAIN) Open Lecture, Chelsea College of Art and Design, February 12th, 2008. Invited speaker. ‘New Provincialism: Art and Visual Culture of the African Diaspora’, Internationalising Black Power, Arts and Humanities Research Council-funded conference, Institute for the Study of the Americas, University of London, October 25th-26th, 2007. Invited speaker. ‘New Networks: Art and Infrastructure in the Anglophone Caribbean’, Liverpool Biennial 2008, Tate Liverpool, September 28th, 2007. Invited speaker. ‘Aubrey Williams in Profile’, presentation and conversation with the artist Sonia Boyce, Aubrey Williams Study Day, Tate Britain, September 21st, 2007. Invited speaker. ‘Art History’s Networks: Contemporary Nationhood and Infrastructure in the Anglophone Caribbean’, 14th Triennial Symposium on African Art, African Studies Association, Gainesville, University of Florida, March 28th-April 1st, 2007. ‘Indian Art in Trinidad? Emotion and Ethnicity at Material Limits’, Migrant Art, Artefacts and Emotional Agency, Arts and Humanities Research Council-funded conference organised by Maruska Svasek, Queens University, Belfast, February 9th-10th, 2007. Invited speaker. ‘Notes on Caribbean Visual Analysis’, Caribbean Research Seminar in the North, Manchester Museum, October 6th, 2006. Co-convenor. ‘Visual Culture and Caribbean Transnationalism’, Society for Caribbean Studies/University of Warwick, 30th annual international conference, The National Archives, Kew, July 5th-7th, 2006. ‘Post-Colonial “Knowledge Transfer” and Art History’, Art History: Contents, Discontents, Malcontents, Association of Art Historians (AAH), Leeds, April 5th-7th, 2006. ‘Globalisation and Curriculum Change’, Contemporary Art in Globalisation: Issues, Research, Resources, Networks in Europe, Institut National d’Histoire de l’Art (INHA), Paris, December 1st-3rd, 2005. Invited speaker. ‘Initiatives for an Outsider’s Art Criticism of the Caribbean’, Arts Education and Societies in Crisis, international conference. UNESCO and The University of the West Indies, St. Augustine, Trinidad. June 27th, 2005. ‘Art, Canon, Nation: Diaspora Futures’, Mapping the Change, Association Internationale des Critiques d’Art (AICA), and The British Council, Karachi, Pakistan. November 25th, 2004. Invited speaker. ‘Conversation with artists Ras Akyem Ramsay and Ras Ishi Butcher’, Caribbean Connections 4, Islington Arts Factory and the Barbados High Commission, London. April 23rd, 2004. Invited speaker. ‘Art and Empire from Language to Embodiment: Questions of Historicism in Diaspora Visual Culture’, Displacement, Relocation, Identity: Revisioning Histories of Slavery and Empire, international conference, University of Newcastle Upon Tyne, March 3rd, 2004. ‘Strategic Vision and the Pictorial Turn in the Black Diaspora’ Sussex Seminar in Social and Political Thought, University of Sussex, February 26th, 2004. Invited speaker. ‘Art and Artists of the Caribbean Diaspora, the 1980s to the Present’, Caribbean Societies in Regional Contexts, seminar, Institute of Commonwealth Studies, University of London, February 17th, 2004. Invited speaker. ‘Perception and Presence in Diaspora Visual Culture’ Material Culture Seminar, Department of Anthropology, University College London (UCL), January 22nd, 2004. Invited speaker. ‘Art and Artists of the Caribbean Diaspora and the Canon Debate’ Cross-Culturalism and the Caribbean Canon, international conference, University of the West Indies, St. Augustine, Trinidad and Tobago, January 9th, 2004. ‘Contemporary Black and Asian Art and Design at the V&A’, Continuing Professional Development Day for Lecturers, The Victoria and Albert Museum, London. December 3rd, 2003. Invited speaker. ‘Caribbean Festival Arts’, Continuing Education seminar, Horniman Museum and Birkbeck, University of London. November 27th, 2003. Invited speaker. ‘Conversation with artist Stanley Greaves’, Caribbean Connections 3, Islington Arts Factory and the Barbados High Commission, London. May 9th, 2003. Invited speaker. ‘Cultural Diversity and Widening Participation in the Art and Design Curriculum’, guest speaker, London College of Fashion, The London Institute. December 2002. Invited speaker. ‘Art Criticism and Diaspora Aesthetics’, (respondent to Kobena Mercer and Judith Wilson), Shades of Black: Assembling the Eighties, Black Arts in Post-war Britain, international conference, Duke University, North Carolina, April 22nd, 2001. Invited speaker. Wainwright, Leon and Zijlmans, Kitty eds. Wainwright, Leon and Fuglerud, Øivind eds. Blacker, Uilleam; Edwards, Elizabeth and Wainwright, Leon eds. Kennedy, Beccy; Mitha, Alnoor and Wainwright, Leon eds.